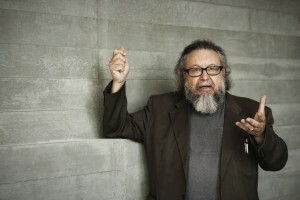 Today, 15 Bytes features Orem-based Alex Caldiero, performance poet and “sonosopher,” a practitioner of a unique hybrid of sound, poetry, and philosophy. Caldiero recalls in verse his emerging passion for performance and for the sensual liturgical marriage of physical space—the church or temple proper—with bodily space. In our selection today, we’ve included a sampling of works recently published in his volume Some Love (Signature Books). So curl up with your favorite cup of joe and enjoy the work of Alex! and let enter as thought and yearning. I ever wanted to know. it means she will leave me. it means she still cares. it means she will make love with me. it means she has changed her mind. that it doesnt make sense. because at times they makes sense. stop and stare at your stigmata. their fingers in the wounds. 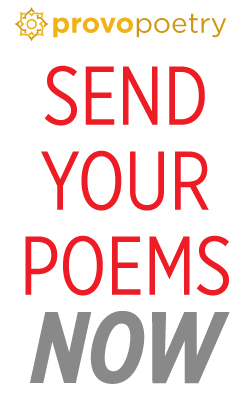 All poems used with permission of Signature Books. 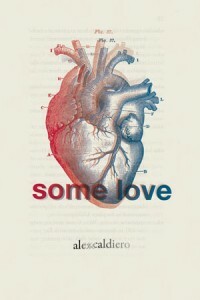 Alex Caldiero is Poet in Residence at Utah Valley University in Orem. One of his students described him as “a weird cat, but someone who loves what he teaches.” He has received grants from the National Endowment for the Arts and Utah Performing Arts Tour and awards from the Association for Mormon Letters and Salt Lake City mayor’s office. You can watch Caldiero perform here. Past featured writers in 15 Bytes’ Sunday Blog Read:Katharine Coles, Michael McLane, Darrell Spencer, Larry Menlove, Christopher Bigelow, Shanan Ballam, Steve Proskauer, April Wilder, Calvin Haul, Lance Larsen, Joel Long,Lynn Kilpatrick, Phyllis Barber, David Hawkins, Nancy Takacs,Mike Dorrell, Susan Elizabeth Howe, Star Coulbrooke, Brad Roghaar, Jerry Vanleperen, Maximilian Werner, Markay Brown, Natalie Young, Michael Sowder, and Danielle Beazer Dubrasky , Kevin Holdsworth, Jacqueline Osherow, and Stephen Carter.